Mazda MX-5 Convertible 1.5 Sport Nav available from £291 per month. 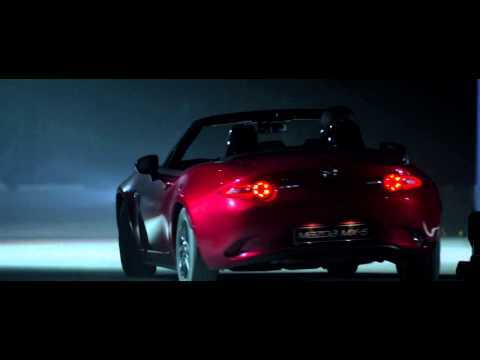 The multi award-winning all-new Mazda MX-5 epitomises Mazda’s approach to driving enjoyment. Every inch has been crafted to maximise your experience on the road or track, which makes the price such a pleasant surprise. This affordable two-seater is also on sale today among our latest new car offers. We have chosen a couple of different model versions for our offers, so you have a great opportunity to own the all-new Mazda MX-5 that meets all of your requirements. By paying for your car monthly rather than all at once you can even afford a model that would normally be outside of your budget. The all-new Mazda MX-5 is the ultimate driver’s car, combining a lightweight, balanced body with powerful SKYACTIV engines. The sports car’s dramatic look is another way it raises your excitement. A muscular body and piercing LED headlights create a strong and memorable road presence. Enquire with a Mazda expert at our Corby dealership to learn more about our all-new Mazda MX-5 offers, and to discuss a test drive. Contact the Mazda team on 01536 268991 or email richard@rockinghamcars.co.uk to find out more!